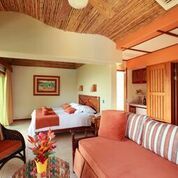 Escape to paradise in two of Costa Rica’s most stunning tropical climate zones. 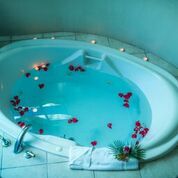 Experience Villa Blanca’s Cloud Forest Hotel & Nature Reserve ensconced in a 2,000-acre private reserve with beautifully crafted garden casitas, in-room fireplace, whirlpool, plus gourmet restaurant, and Voices of Nature Spa. 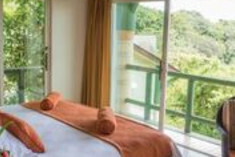 Take a trip to Arenal Volcano and relax in natural thermal hot springs. 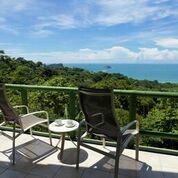 Continue with Manuel Antonio’s Si Como No Resort Spa & Wildlife Refuge with panoramic views from your balcony suite of Manuel Antonio beach. Enjoy fine dining, treatments at Cala Spa, and take a siesta by the secluded adult pool and swim up bar. 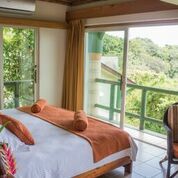 Next door there’s the private wildlife refuge, with guided jungle night tours, crocodile lagoons and also included is a butterfly atrium garden free to resort guests. 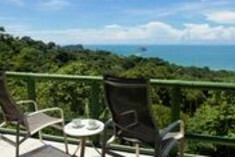 Even in the tropics, keep your cool with Greentique’s laid-back prices. 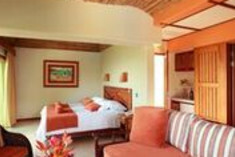 Four (4) nights in an ocean view Deluxe Room with free upgrade to a Honeymoon Suite. Full daily breakfast at Rico Tico Bar n’ Grill. Free entrance to our Nature Park butterfly gardens. Tour of your choice between: Damas Island Estuary Boat Trip or Damas Island Kayaking tour. Free hotel beach scheduled shuttles and free WiFi. 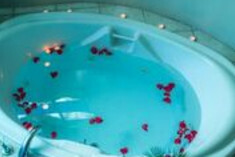 25% discount coupons for any Cala Spa treatments. V.I.P. movie pass to our private THX Theatre. A la carte special dinner menu for two at the ¨Claro Que Sí¨ seafood restaurant the evening of your choice. Cancellation requests must be received in writing 23 days or more prior to arrival to avoid penalty. NO-SHOW and/or un-used room nights, and/or early checkouts are NOT REFUNDABLE regardless of the season.